The Sisterhood Judaica Shop, conveniently located outside of Saul Reinfeld Hall, is a wonderful place to purchase reasonably priced gifts for the holiday host or B’nai Mitzvah, as well as tallit (longer length available), kippot, Kiddush cups, candlesticks, or unique items for your home. The Shop offers a high-quality selection of mezzuzot, menorahs and seder plates in addition to gifts for babies and children. 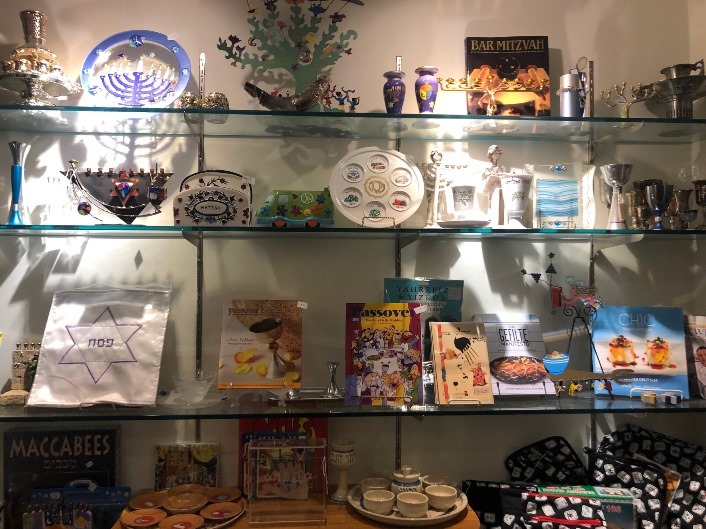 Despite the ease of ordering gifts online, we hope our shoppers remember that buying from the Judaica Shop directly supports Temple B’nai Abraham. 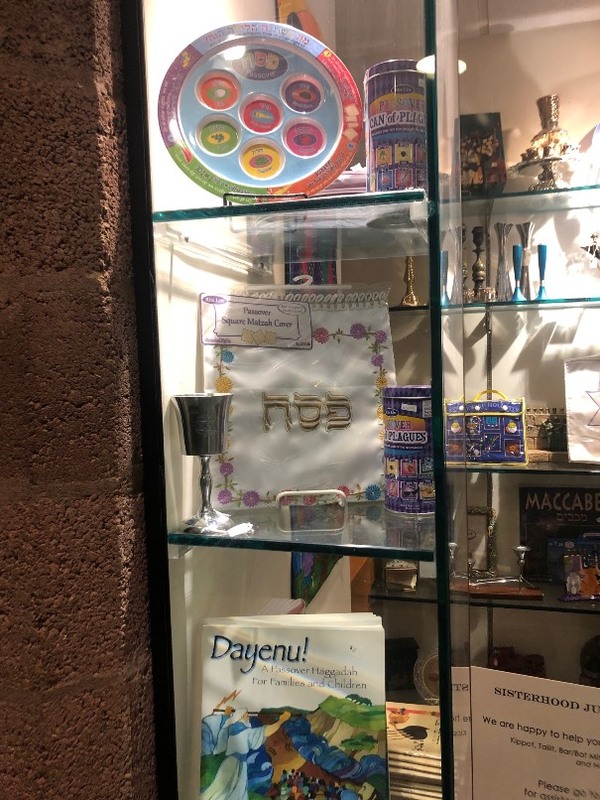 The Judaica Shop is stocked with beautiful items for Passover: Matzah Covers, Seder Plates, Haggadahs, Yahrzeit Candles, Can of Plagues…we have it all! Stop by and see for yourself! For further information, contact Suzanne Weinick, saweinick@gmail.com. Kippot (Yarmulkas)… need imprinted kippot? For that special upcoming simcha…order your kippot through Sisterhood.